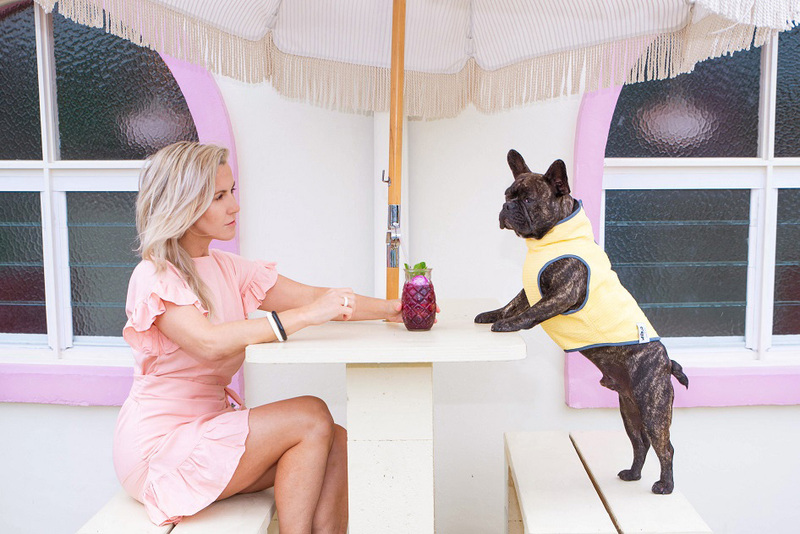 With spring upon us and summer just around the corner, Gold Coast mother and business owner Belynda Bennetts, 39, is opening up on the traumatic day she nearly lost her 10-month-old French Bulldog Wilko to heatstroke to raise awareness of the condition and her solution for it. The helper brought over a kid’s play shell with water for him to cool down in, though it took Wilko about 20 minutes before he started to come good. “I felt so helpless and responsible for the situation that he was in,” Belynda admits. After this terrifying October morning, Belynda began her mission to find a product that Wilko could wear day and night to keep him cool that was comfortable, stylish and functional. Much to her disappointment, this item did not exist. However, as a business owner who has owned and created a variety of businesses and products, Belynda was confident she could create a solution. “It needed to cool from the under part of the dog where they hold most of the heat,” Belynda said, who is the Founder of Wilko Pet Care, named after her beloved Frenchie. Belynda set about to create a vest made from a special soft fabric that a dog owner wets and secures on the dog, similar to a jacket. Once on, the dog finds relief almost immediately, reducing its body temperature, stress, panting and potentially overheating. Once the vest begins to dry, it should be removed or wetted again and reapplied to the dog. The vests are great for hot days around the house, exercise and playtime. In addition to the vests, dog owners should educate themselves on the signs of heatstroke and follow safe hot weather practices. 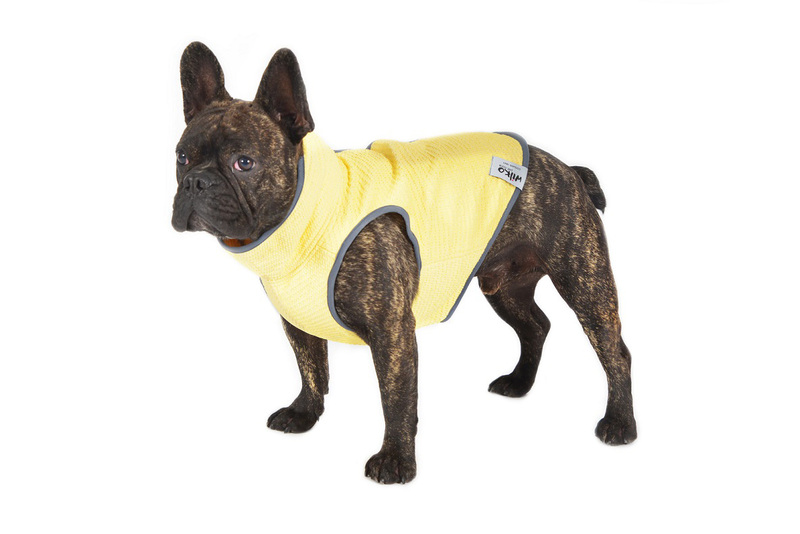 The vests can be purchased now at Wilko Pet Care, as well as from 20 stockists around Australia and New Zealand. Belynda will be selling vests to the public at the 2018 Brisbane Dog Lovers Show on Saturday 3 and Sunday 4 November.